Christy Maggio shares how Bible-based trauma healing changed her life. “I used to hate men,” says Christy, a former inmate. 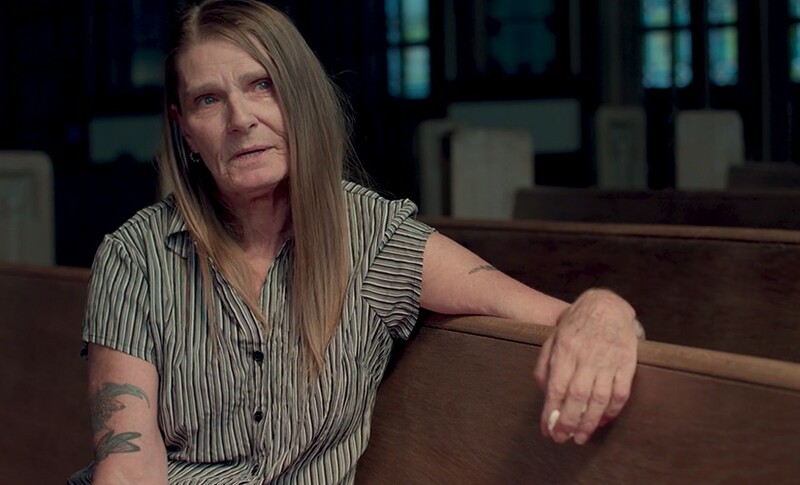 Trapped in a cycle of abuse for over 30 years, Christy laments, “All through my life, I felt that in order for a man to love me, he had to beat me,” she says. Christy’s father disowned her. Her stepfather neglected her. Boyfriend after boyfriend beat her — breaking her arms, puncturing her lungs with their rage. One by one, the men in her life taught her she couldn’t trust them with her body or heart. And she learned the lesson well. She never trusted men. Really, she never trusted anyone. Everything changed after Christy went to prison, where she joined a Bible-based trauma healing group that transformed her life. She says her imprisonment was her rescue. In her group, Christy read Scripture that spoke truth about her pain. She discovered that Jesus loves her, wants to protect her, and understands her suffering. For the first time, she had a safe space to unleash her anguish and anger. She found the freedom to mourn the way men in her past hurt her. “I wanted to release all the rage, all the anger, all the bitterness, all the hatefulness. I wanted all the evil out of me that I felt towards men,” she shares. She found the freedom to trust again. “I'm getting freer and freer each and every day. God's showing me that there is good, decent, Christian men out there through all of my friend's husbands. I'm coming to trust them. That helps me to trust men,” she says. Thanks to the support of American Bible Society financial partners, inmates like Christy can finally find freedom as they carry their burdens to the cross. They’re learning to mourn, trust, and cry with joy again. ABOUT BIBLE-BASED TRAUMA HEALING: Trauma often places a wedge between the traumatized and God. They wonder why God allowed them to suffer, and their wounded hearts are closed to hearing God’s Word through the Bible. American Bible Society is passionate about responding to the cries of those who suffer worldwide — to remind the brokenhearted that God is always near to them, and that there is hope in Jesus. That’s why American Bible Society developed the Mission Trauma Healing ministry, which we’ve launched in over a hundred countries, and predominantly those in conflict zones. Over a million adults and children are now on the road to healing, and wounded hearts are opening up to receive the Word of God.